You can’t help but spot a supercar, its sleek prowess cruising along the road with a throaty roar which just seems to magically part the surrounding traffic. Aberdeen was once a hotspot for these beasts after the oil boom brought citizens a taste not only for big houses and new restaurants but also performance cars. But since the oil crash, are their numbers dwindling? Not quite, according to Roddy McAllister, who is dealership principle for the Leven Car Company. If anyone should know about membership to the secret club of supercars, it’s Roddy. 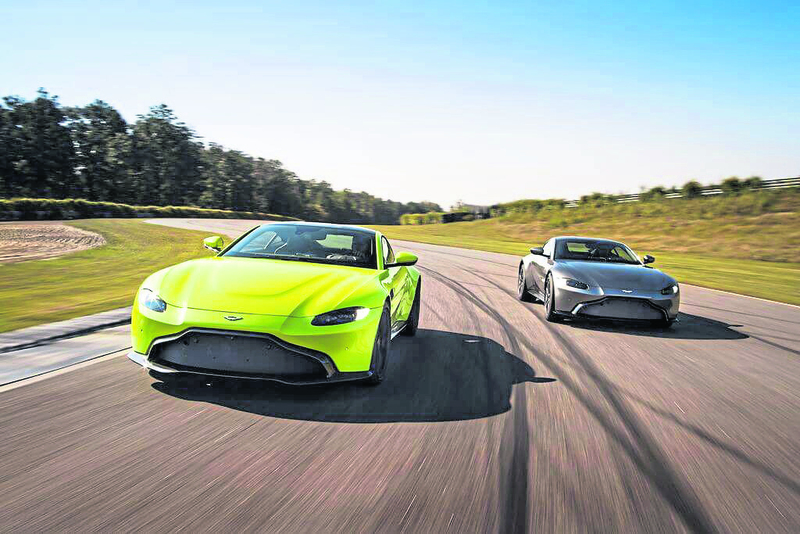 He may not own a glorious model himself, but has spent the best part of a decade driving supercars as part of his job, previously working for the likes of Porsche, Rolls-Royce and BMW. The dark Brexit cloud may be looming large over the UK car industry, but it will take a lot more than EU strife to silence the engine of an Aston Martin. 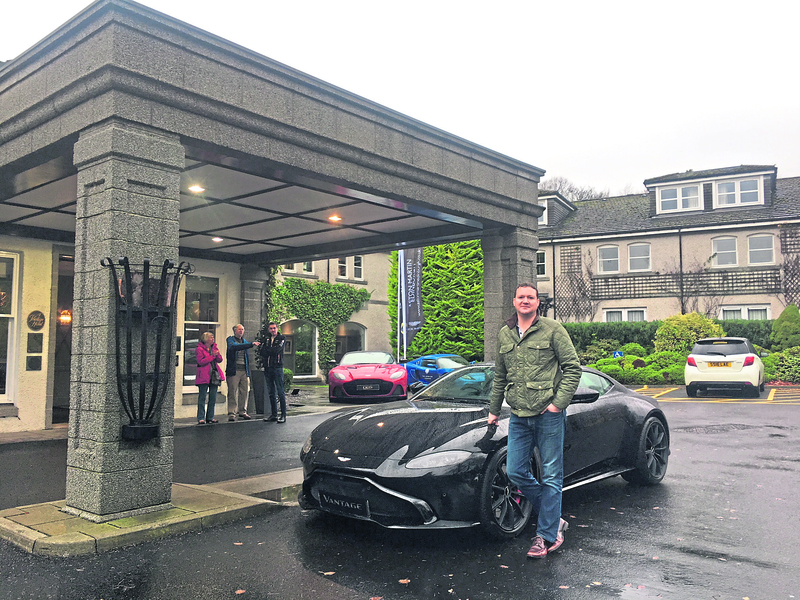 In fact, Roddy believes the market is showing tentative signs of recovery, and earlier this month organised a mini supercar road show in the Granite City to tempt potential buyers. “When the oil price crashed it was as though a switch was turned off in Aberdeen,” said Roddy. “The market definitely dropped off. The cars Roddy is referring to are Aston Martins and Lotuses specifically, with price tags ranging from £150,000 to £260,000. But who can afford the privileged position of sitting behind the wheel? “It’s hard to pinpoint our buyers,” said Roddy. “They are doctors, business owners, directors of companies, the occasional lottery winner… but in my opinion they have all become more savvy with how they spend their money. This is true not only of Aston Martin and Lotus, but Ferrari and Lamborghini to name but a few. A wave of more youthful buyers has required a new mindset for doing business too. Car brochures would once eagerly have been waved at potential buyers, their glossy pages marking the key tool of persuasion. But as technology marches forward, once well-thumbed booklets are slowly gathering dust. “It wasn’t too many years ago that you didn’t leave the car dealership without a brochure unless you bought and drove home the car in question,” said Roddy. “Now all our brochures are online. “Social media too can be an incredibly valuable tool. The internet has also enabled people to do their research before they even arrive at the showroom. “Nowadays people do their homework,” he said. “They know exactly what they are looking for and usually know if they are going to buy a car before they’ve even seen it in real life. “We put pictures and videos on our website and often people put down deposits for cars over email. But that doesn’t mean that this new breed of customer is any less discerning. In Roddy’s opinion, cars like these are a passion not to be taken lightly. “Of course you get the odd lottery winner who just wants to splurge,” he said. “But for most people, it’s the second biggest purchase they will ever make. “Usually it’s a car that they have worked hard for and want to enjoy. “I often get folk in who say, ‘I’ve been saving my whole life for this moment’ or ‘the smell of the leather reminds me of my dad’. “It can be a very emotional thing for people. I know that Aston Martin used to be seen as an old man’s car, but times have changed. “The whole industry is far more dynamic and fluid than ever before. But for Roddy personally, the devil is in the detail. “Each one of these cars is hand built and every element of the interior hand stitched,” he said. “As for why people buy them? “It’s hard to say, but it’s got to be something to do with that feeling you get when you roar off the start line.